Creating a blank template of a Boeing 747-400 has been at the top of my to do list for quite some time now, but it’s an older-generation aircraft that has been pushed aside by my need to do the A350, A380, and 787 templates first. Once I had those out of the way, I didn’t feel as guilty for spending some time on this classic Boeing airliner. 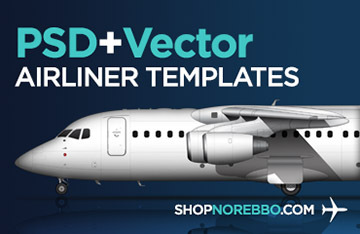 It was a bit weird creating these illustrations after spending so long on those newer-generation aircraft. The 747 is certainly getting on in years, as she’s been flying since 1970 without any major fuselage changes. So yeah – it looks rather dated (but still very classy) when put side by side with the latest offerings from Seattle and Toulouse. The version I chose to illustrate for this post features General Electric CF6 engines, but I also have versions with the Pratt & Whitney and Rolls Royce engines as well if you need them. It’s hard to believe that the days of the 747 are winding down. They’ve been the queen of the skies for nearly my entire life, and the aviation nerd in me will definitely be sad to see them go. How soon will that happen? Probably in less than five years based on all the news I’ve been reading. So now that I’ve finished the 747-400, there aren’t any “must do” aircraft that are on the top of my list. Yes, that list of airliner templates I plan on making is long, but the fun stuff is complete and now I need to get busy and start doing the endless number of variants that will make my collection complete. 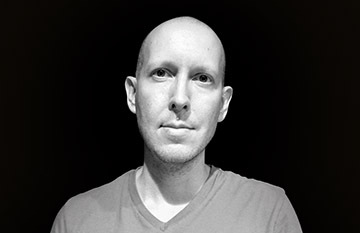 I am a big fan of your designs. Any plans on doing Boeing 747-8? Hi Branko – yes, as a matter of fact I’m about half way complete with the 747-8i template right now. I *hope* to have it complete in about a week or two. Thank you so much for your reply. 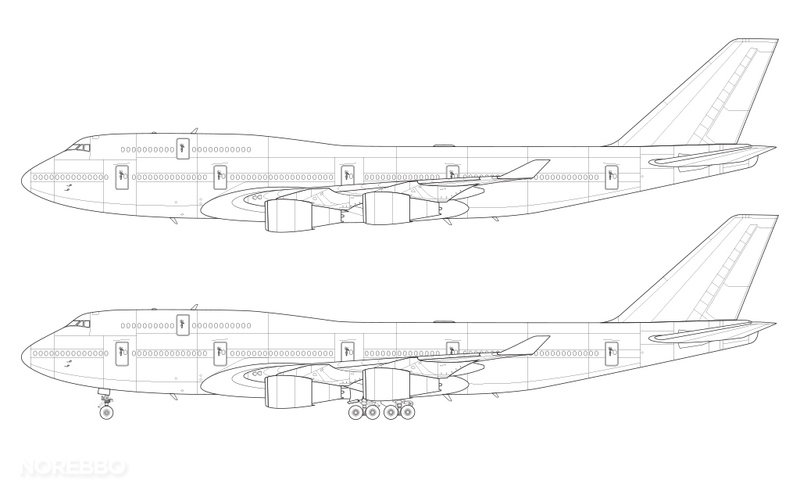 I look forward to the (new) Boeing 747-8I template. Yeah, that would be fun – it’s on my to-do list! Will you eventually be creating templates of the MRJ, the C-series, the Comac C919 and the Sukhoi Superjet? Hi Liz – yes, as a matter of fact I’ve been gathering C-Series reference material for the past few days so I expect to begin work on that template shortly (both the -100 and -300 variants). 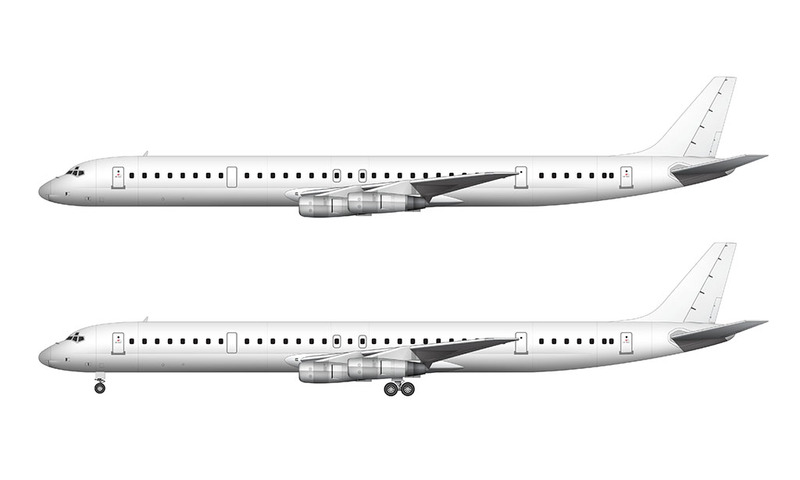 The others will likely have to wait until I finish some other big stuff first (primarily the A340 series). I’m looking forward to the A340s – specifically the -500 if that’s included. very precise looking illustrations. I wondera on what do you base your illustrations on? One does need some scale drawings to do these, no? And then, your expertise to use right stroke/line thicknesses, choosing what details to accentuate/exaggerate or remove! Wonderful work! I came to your site, seeking side elevation of high altitude flying airplanes to include in a cloud spotting illustration. The illustration is itself based on the wiki clouds chart illustration. It is missing a plane! A plane can add a great value in how the heights are seen. You mention your work can be used in blogs and articles with backlinks, for free. Can this be included in a wiki with link and credit to your site? I propose to add this to the illustration and upload my illustration as a version to the same illustration in wiki. Such level of detail may be an overkill! So I would reduce some elements. Thanks for the kind words! Yes, finding all the right reference material to create these illustrations does take a bit of work. Mostly I use my own side view photos of aircraft that I have taken at the airport, but airliners.net and flickr are two other good places to find good detail pics. It takes time, that’s for sure. Anyway, yes, I don’t mind if you use my work in your illustration as long as you include a link back to my site. I’d appreciate it! I like to make my own custom paint jobs on planes and I want to do some cargo planes. 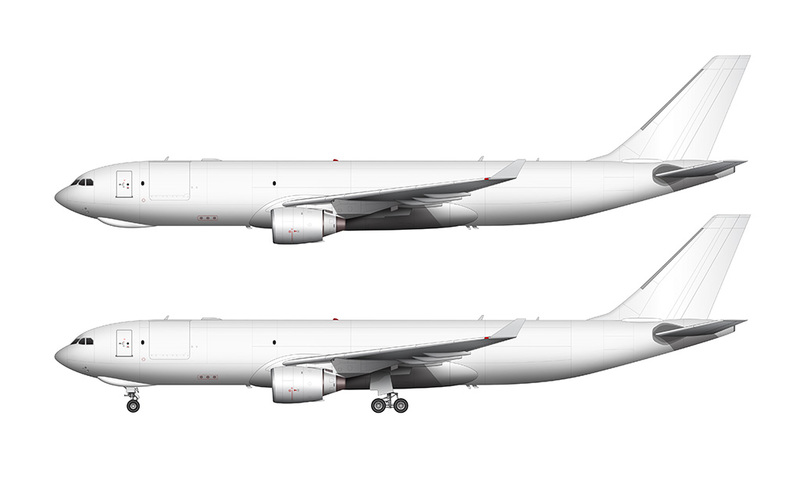 I have seen the 747-8F and the 767-300F you’ve done so I’m just wondering if you could do other Boeing and Airbus cargo planes.